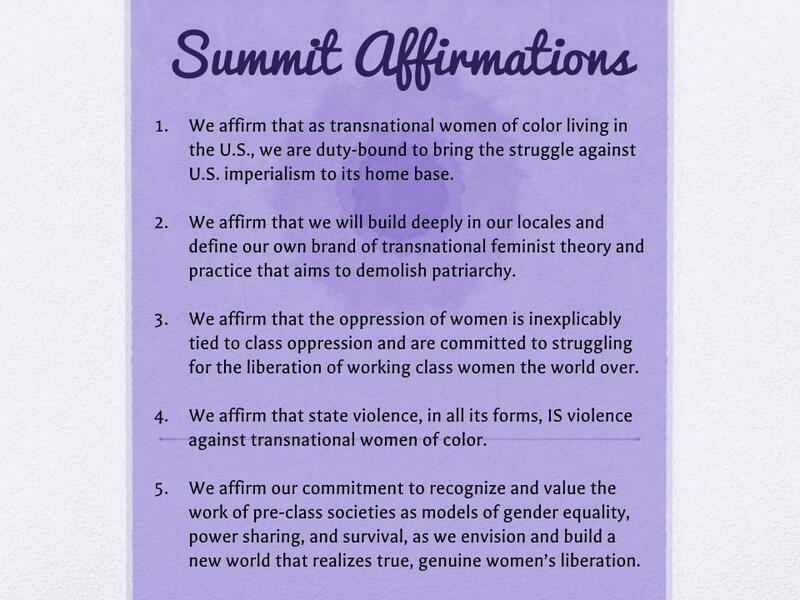 Near the end of Day 2 of the “Women on the Wave” Summit, AF3IRM members presented the following affirmations to the audience and asked them to join our fight for women’s liberation by choosing the statements that they support. 1. We affirm that as transnational women of color living in the U.S., we are duty-bound to bring the struggle against U.S. imperialism to its home base. 2. We affirm that we will build deeply in our locales and define our own brand of transnational feminist theory and practice that aims to demolish patriarchy. 3. We affirm that the oppression of women is inexplicably tied to class oppression and are committed to struggling for the liberation of working class women the world over. 4. We affirm that state violence, in all its forms, IS violence against transnational women of color. 5. 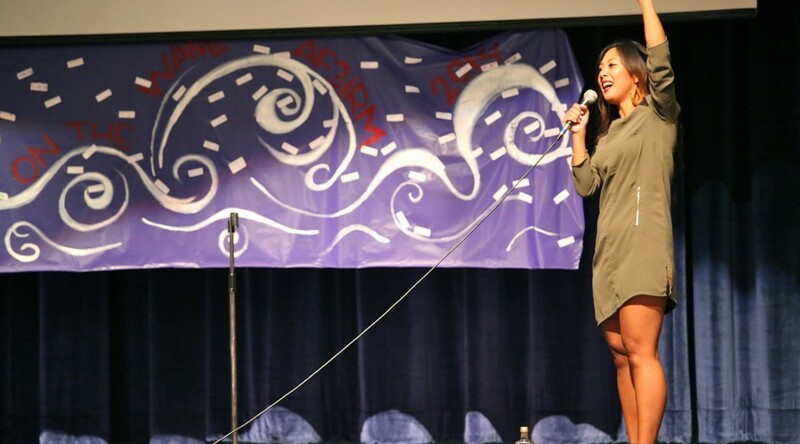 We affirm our commitment to recognize and value the work of pre-class societies as models of gender equality, power sharing, and survival, as we envision and build a new world that realizes true, genuine women’s liberation.